The Flyrt (Flying Radar Target) was an experimental ship-launched expendable radar decoy, which was built and tested by the Naval Research Laboratory in the 1990s. 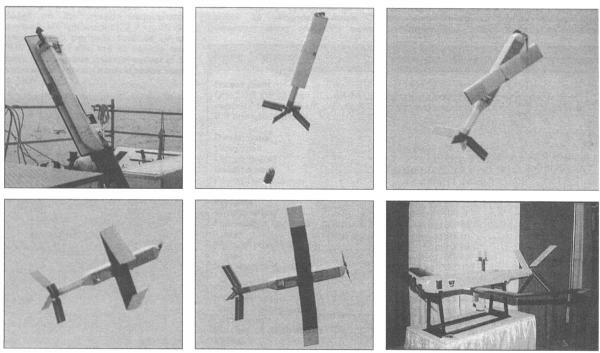 The first test flight of a Flyrt occurred in September 1993. The Flyrt was launched with folded wings and tail surfaces from a MK 36 launcher with the help of a solid-propellant rocket motor, which burned for about 1.6 seconds. Immediately after leaving the launcher, the tail fins were unfolded to control the vehicle during ascent. After the booster had been jettisoned, the UAV coasted to the apogee of the launch trajectory, where the wings were unfolded and the electric motor started. The Flyrt's mission payload was an active RF repeater consisting of two pop-out antennae (receiver and re-transmitter). The vehicle was not recoverable. A total of 13 Flyrt drones were built before the program ended, and the decoy successfully demonstrated the defense of a variety of ships against simulated radar threats.